Eight clues contain a superfluous letter in the wordplay to be removed before solving. Removals leave real words but may ruin the surface reading. 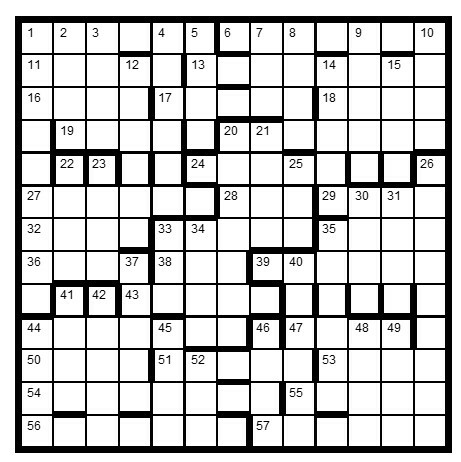 Removed letters in clue order specify what thematic elements, six in all (five in straight lines), are to be highlighted in the completed grid. Four other clues contain a superfluous word, all more than three letters long, to be removed before solving. Their initial letters in clue order identify a body associated with the theme. Solvers must highlight a different, and this time complete, set of thematic elements which are sole occupants of a six-sided block of the grid. One answer is not in Chambers. To enter this competition, send your entry as an image or in list format giving the highlighted elements to ccpuzzles@talktalk.net before 8th November 2017. The first correct entry drawn from the hat will receive a book donated by Chambers.